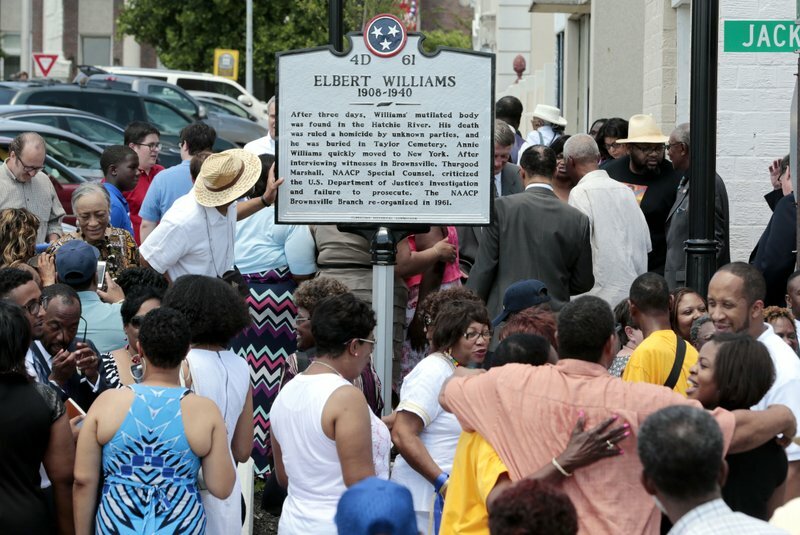 MEMPHIS, Tenn. (AP) — More than 78 years after civil rights worker Elbert Williams’ body was found in a Tennessee river, a district attorney announced Wednesday that he is reopening the investigation into the slaying. Haywood County DA Garry Brown said his office is launching an investigation into the death of the 32-year-old Black man, whose body was found in a Brownsville river in June 1940, three days after being taken from his home by a group of men led by a police officer. The Department of Justice initially ordered the case be presented to a federal grand jury, then mysteriously reversed itself and closed the case in early 1942. A U.S. attorney in Memphis declined to re-open the investigation in 2017, after a request from Williams’ relatives and Jim Emison, a lawyer who became intrigued by the case. An NAACP official has called Williams “the first martyr of the NAACP.” No one was ever charged in the case, and Williams’ grave has not been found, though it is believed to be in a cemetery near Brownsville. It was not immediately clear if Brown has new leads or if new evidence has been discovered. The move comes about three weeks after the U.S. government renewed its investigation into the 1955 slaying of Emmett Till, a 14-year-old black boy from Chicago who was visiting relatives in Mississippi when he was brutally killed. Former U.S. Attorney Edward Stanton III said in a February 2017 letter to Williams’ family that his office could not reopen the investigation because more than 75 years had passed since the crimes and many if not all of the potential witnesses have died. He also wrote that the statute of limitations for any federal crime had long expired. However, there is no time limit on first-degree murder charges in Tennessee. Brown said the case falls under Tennessee’s new Civil Rights Crimes Cold Case Law, which mandates a statewide survey of cold civil rights crimes and directs referral of viable cases for prosecution. Brown’s investigators plan to team up with a University of Tennessee forensic scientist to look for Williams’ grave. Emison and others believe exhuming the body could lead to a murder weapon. Williams’ wife said she saw what looked like bullet holes in his chest. A relative is providing a DNA sample to help identify the body, Emison said. Williams was killed more than two decades before NAACP leader Medgar Evers was gunned down by a Klansman outside his Jackson, Mississippi, home in 1963 but has received far less attention than the slayings of Evers and Till. Williams was part of a group of people who registered black voters in western Tennessee in the early days of the civil rights movement. They toiled in rural areas where lynchings had taken place and civil rights workers were threatened with violence. FBI and Justice Department documents Emison obtained from the National Archives showed that Brownsville police, upset because the local NAACP branch was registering Blacks to vote, had led an effort to force its members out of town. Then-U.S. Assistant Attorney General Wendell Berge said in a letter to U.S. District Attorney William Clanahan that the “obvious purpose” of the police and others had been to frighten the town’s Black population and prevent them from voting. When police got a tip that he was planning an NAACP meeting at his home, a group of men led by police Officer Tip Hunter went to his residence, said they needed to question him outside and then took him away on June 20, 1940. Williams’ body was found three days later in the nearby Hatchie River. The Justice Department closed its investigation in spite of evidence gathered by Thurgood Marshall, then special counsel to the NAACP who later became the U.S. Supreme Court’s first African-American justice. “He dared to organize American citizens to register to vote and was likely murdered for it,” he wrote.